﻿ Sri Iskandar Hotel, Kota Kinabalu | FROM $15 - SAVE ON AGODA! 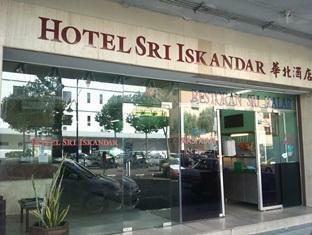 Have a question for Sri Iskandar Hotel? "In a very convenient location with a lot of eating places close by." "Location also nice as it is near restaurants, ATMs and touri..."
Offering comfortable and affordable accommodations, this 2-star property is perfectly located right in the heart of Kota Kinabalu. Staying here, you are close to some of the famous places of interest such as Centre Point, Warisan Square, Night Market, Waterfront, and Asia City. All the 20 rooms at this property are fully equipped with modern comforts. Right at the doorstep, you will find a taxi stand, making traveling around the town completely convenient. All the accommodating and friendly staff will surely make your stay a memorable one. "A pleasant stay with good location"
I book for 2 room triplet bed.. but i got 1 room for triplet bed and 1 room double queen size.. very comfortable for big size like me.. As i mention.. im bring my olders mommy.. don't worry my dear.. this hotel have elevator... Room quite big but the price quite cheaper and reasonable price coz no mini refregerator .. no cup board.. no kettle for water boiler in room and clean toilet..
Room was Ok, with A/C, window, bathroom with hot shower, towels. The only bad thing was that wifi was very weak.... Location is good, near Gaya Street, Filipino Market, restaurants, shops. blh la menginap di hotel ni... dekat jika nk kemana2.. hny jln kaki shj klu nk ke pasar filipin, gaya street , pasar sinsuran.. malas jln kaki,, ambil grab.. range grab antara rm4 hingga rm10 shj.. service semua ok kecuali aircond x sejuk. Checked in this hotel many times. Like the location very much. Many restaurants nearby too. Room and toilet was very clean The air conditioner was tip top condition. The staff was friendly & polite. 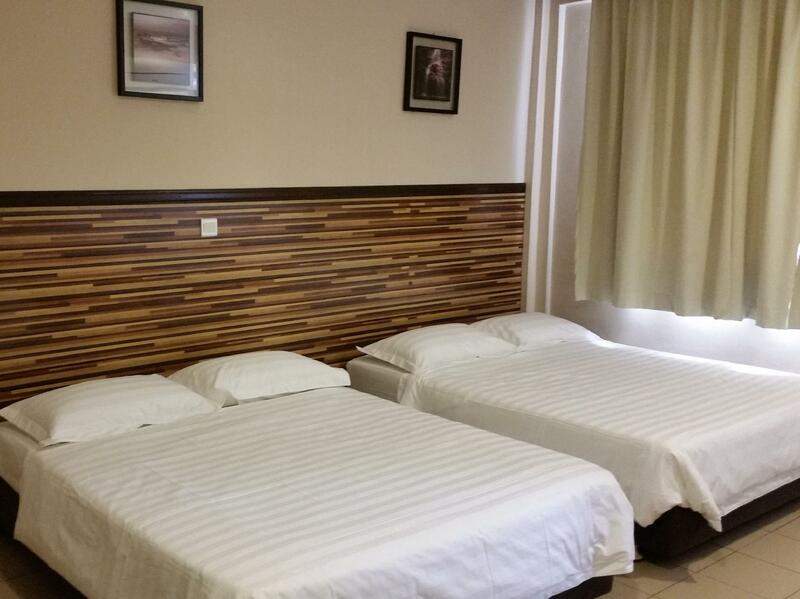 Overall, this is a very good, affordable budget hotel that is worth staying. Price range, Satisfied. I got room 405. Spacious but got unpleasant smell in the bathroom (kindly do inspection, I think its from the sink). Do provide cashless payment (Debit/Credit) since they just accept cash term on walk-in payment. Need to add more facilities such as hairdryer, Iron & hot water on each level. Overall, a satisfying stay for a night stay. At first i thought it is not worth it but i really love it. The hotel located at the centre of town, so its very happening at night. Cons; the bathroom door is the semi transparent type which not suitable for family. In a very convenient location with a lot of eating places close by. Bath towels bleached and looked clean. Only problem is the poor WiFi, if wifi is really a important part of your stay then you need to find another hotel. Location is good, lots of convenience stores nearby and hawker stores so eating is very easy. Also walking distance to the night market. For two consecutive nights several drunk people fighting in front of the hotel which is quite disturbing especially during late hours. But generally ok for the value of money. Also staff and hotel owners are all helpful and friendly. PS. internet connection is very slow. Its a great location.. but a bit difficult to find car park.. u have to wait till late night to park nearby the hotel. And dont forget the parking coupon fo dbkk.. The staff were kind, the check in should be 3pm but we arrived in Kota by 2am same day, they did not charge anything. the room have their own cr. the toilet was clean. if you want to go around you may download uber or grabe. thank you so much! 2 queen bed. There is hot water to drink in counter registration and the iron board n iron outside room (level 1). Near to convenient store and bank (maybank). Room are spacious with additional has TV and desk and 1 chair. Bathroom spacious too. They provide small pieces of soap (4pcs). Since i stay only one night only before off to Kundasang, i really recommend it to tourist if u just looking for rest transit. I stayed in Family Room here. The room just nice. Only wifi slow and tv doesn't have many channel but its okay for me with the price. Location is nearby with many spot like night market, philiphine market, handcraft market.